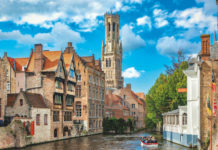 Sue Bryant joins Compagnie du Ponant’s L’Austral and falls for the ship’s French charm, friendly atmosphere, and yacht-style cruising. Walter the DJ is just too cool. With his cropped hair, edgy clothing and high-tech deck, his look shouts ‘urban club’ rather than ‘cruise ship’. And for once, we’re dancing to chart music rather than the ‘sounds of the seventies’ favoured by many cruise ship DJs. But this is no ordinary cruise ship nightclub. We’re dancing under the stars on the top deck of L’Austral, the whole Milky Way arching across a black sky above us. The music pounds out, making conversation impossible, but there’s plenty to watch as the crew have joined us. The maître d’ is getting on down with the chef. The guest relations officer has just executed a backflip on the dance floor and the sommelier is setting fire to a row of Sambuca shots lined up on the bar. Everybody is shaking their booty to Walter’s tunes – husbands and wives, grandparents, teens, gay couples, officers, bartenders, people who have never met. It’s one wild party. And fun it is. A voyage on L’Austral is rather like sailing on a beautiful private yacht with a touch of the jolliness of Club Med. L’Austral belongs to Compagnie du Ponant, a line offering a mixture of elegant yacht cruising in the Med and posh expeditions to some of the most far-flung corners of the earth (although my disco diva experience takes place closer to home, in Croatia). This is the second in a series of three new ships; sister Le Boreal was launched two years ago and a third ship, Le Soleal, arrives in 2013. On my cruise, out of 224 passengers, 127 are French and the rest a mishmash of Americans, Germans, South Americans (“There’s a lot of money in Venezuela,” Eric confides), Scandinavians, Australians and even Japanese. It’s European school holidays, so there are several families on board, all the kids impeccably dressed and very well behaved, especially at mealtimes. Personally, I love the international atmosphere. Because the ship is essentially French, everybody is very polite and I quickly get used to saying ‘Bonjour’ to everybody I pass in the corridors, regardless of their nationality. On the other hand, the waiters, who are mainly Indonesian, like the English-speakers as they can gossip with us more fluently than they can with the French passengers. The ship, sleek and modern, is exceptionally beautiful, with interiors like those of a minimalist boutique hotel. Everything is taupe, cream and white, with emphasis on luxurious textures, from leather-fronted white drawers in my cabin to taupe silk cushions on the bed. Black-and-white Philip Plisson photo-art lines the corridors. A cascade of glittering Swarovski crystals lights up the small atrium. The on-board shop sells designer labels like Lacoste and Façonnable, although we only find it open once during the entire week. The guests are masters of the art of smart casual; Louis Vuitton and Missoni rather than M&S. Food is most definitely French, with the most amazing pastries coming out of the galley at breakfast time and a range of French classics on the dinner menu – everything from foie gras and chicken gizzards to duck confit, veal and wild board, all served with rich sauces and elegant arrangements of vegetables. The vegetarian options are good, though, a long way from the omelettes and frites to which veggies would resign themselves in France in years gone by. Much of the fish is bought fresh, locally, as are huge peaches and strawberries, one of the joys of a small ship that can be provisioned more spontaneously. Most days, we eat lunch in the indoor/outdoor Le Rodrigues restaurant on the pool deck, which sometimes has a barbecue (token at best for the French passengers, who eat their steak almost raw), sometimes a moules marinières station and on one occasion, a mountain of oysters. Dinner is served here, too, although it’s a buffet, which despite the romantic al fresco setting, is unexciting, so we stick to the elegant dining room, Le Coromandel. Wine with meals is included, although sometimes we dip into the extensive list of wonderful French wines that are available at a charge. Being a French ship, there are other points of difference. The small kids’ club is token at best; French families do everything together. Tipping is barely mentioned. An envelope is left on my bed on the last night ‘to thank the crew’ but there’s no tipping at the bar, or in the gorgeous spa, which is operated by Parisian firm Sothys. The ship is strictly non-smoking inside and on the balconies, but on deck, it’s a free-for-all; I even see one man holding his cigar aloft as he submerges the rest of his body in the pool to cool off. And there’s almost a family atmosphere between the guests and the officers, in the disco, at least. Evening entertainment is limited, although there’s a fantastic singer in the Karikal Lounge every night and some competent dancers in the small theatre. But often, we’re ashore at night, which is what I love most about this cruise. Compagnie du Ponant sees the ship very much as a luxurious mode of transport, with the focus on the itineraries. So we have a digestif on the waterfront in Split at 11pm, and in Korcula, we sit on the ancient ramparts with a pichet of local wine as the sun sets. This is cruising the slow way, with a genuine chance to experience the destinations at night. L’Austral isn’t all perfect. I find dinner times too regimented; the waiters get flustered when we turn up at 9pm. One of the receptionists is positively terrifying and the internet is beyond hopeless. But I love the relaxed atmosphere, the chic, friendly people and the feeling of being on a yacht, rather than a giant ship. DJ Walter gives me a CD of his favourite mixes before we leave and back home, I groove along happily to Euro-pop in the car, transported back to those Bacchanalian nights under the stars, with L’Austral’s crazy crew. 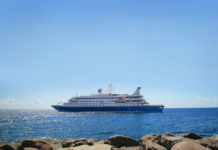 L’Austral cruises in the Mediterranean in summer and Antarctica and South America in winter. 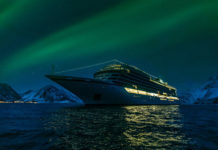 Visit http://en.ponant.com for details or call 0800 980 4027.